Thank you and goodbye! - Website of saraonnebo! Thank you and goodbye! I have finally finished the third, and final, book in the Tulisaari Trilogy! 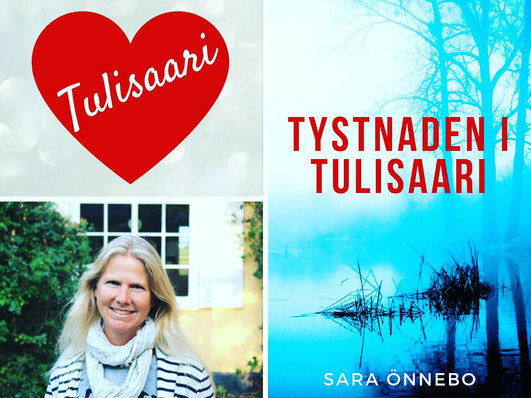 Tystnaden i Tulisaari will be available as an e-book (in Swedish) on the 30th of September. I have really struggled with this book, sometimes not even looking at the text for several months, then having to start getting into the plot and characters again all over. But I am very pleased with the result and can't wait to get your feedback! Now, I can finally say goodbye to my fictional village. It's been a privilege to spend all these years in Tulisaari. But I am looking forward to moving on to new projects (I don't think I will ever write a trilogy again! ).